Will CBS’ new Star Trek series be renewed before its premiere? The network thinks the new series will be “extraordinarily successful,” Trek Movie reports. The new Star Trek series is set for release in early 2017 on the network’s subscription streaming service, CBS All Access. The new Star Trek series will be led by Bryan Fuller, formerly the showrunner for NBC’s Hannibal. Additionally, Rod Roddenberry, the son of original Star Trek creator Gene Roddenberry, will executive produce. What do you think? Are you a Trekkie? Will you subscribe to CBS All Access to watch the new Star Trek series — even for a month? I think they need to air it first to the people who want to pay for it first before you talk about a season 2? I think the new Star Trek series will be given a very long leash…this won’t be like broadcast where an underperforming show is given no mercy…this is CBS’s best chance to salvage its streaming service and position itself for the future. If they can’t make streaming customers subscribe for Star Trek, what exactly is their strategy for the future? does a very long leash mean they will be more free with the content I hope so. I already have CAA. I wish folks would chill about the subscription service. It IS the way of things to come. It’s already here with Netflix, Hulu Plus, and Amazon. When I hear “I won’t pay $5.99!” I kind of ask WTHeck??? We pay that for a single Big Mac meal and don’t think twice about it. I spend $6.00 a month for Dollar Shave Club to be delivered to my front door. A new Star Trek series, plus all the other shows at my fingertips is a no brainer. I DO think that the new Star Trek series actually has a chance what with Fuller and Meyer on board, but I DO think that their streaming service will bomb (because more people are saying that they will NOT pay for it than those who say they will) and that within a year they’ll move the new series either to mainstream CBS or some alternate cable channel. I DO want to see it, but will not pay for the service. Would love to watch the series, but won’t pay another subscription. Pay enough for cable and other streaming companies. 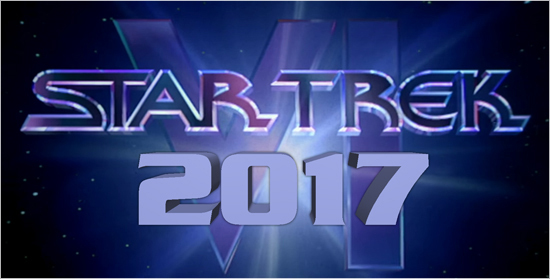 Star Trek 2017 should be on cable to be successful. I consider myself not only a fan but an aspiring writer. And as much as Trek is ingrained in my being, I will NOT pay CBS for All Access. There is a reason why they are using a new Trek series to bolster their subscription rates. No one wants to pay CBS a third time. Between my Directv fees and advertising on the network, CBS gets plenty of my hard earned money. I will not be watching. Refuse to pay CBS. We already pay CBS when we pay for cable. Cable pays them to have them. They get paid by the commercials during the show. They think the show is called $tar Trek. It’s because overseas revenue is a much bigger factor in this vs. previous serious. The global TV market is growing faster than domestic. And Les Moonves knows streaming is the future. Star Trek is his best chance of making his sputtering streaming service work. If it doesn’t work, then he might as well give up on streaming and license the show to Netflix or Amazon, which would be far more compatible places for it vs. cable. Tim: Most people watch television shows via Netflix and Amazon Prime nowadays. Its obviously a business decision to attract a new generation of viewers. Cable TV is slowly dying. Won’t be watching it since it will not be on cable only on streaming. Will be a big disaster that way. Most will not pay to watch it on there. PUT IT ON CABLE! Hope this series make honor to Mr. Gene Roddenberry’s memory. I read some rumors about that the series could be some kind of when Saved by the Bell meets American Pie, but in space. And you actually believed that there could be any truth to that rumor whatsoever?